The single button and stand up collar of this timeless style add sophistication that can be dressed up or down. 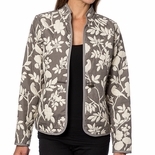 The slight curves and length of this jacket provide an always flattering and comfortable fit. 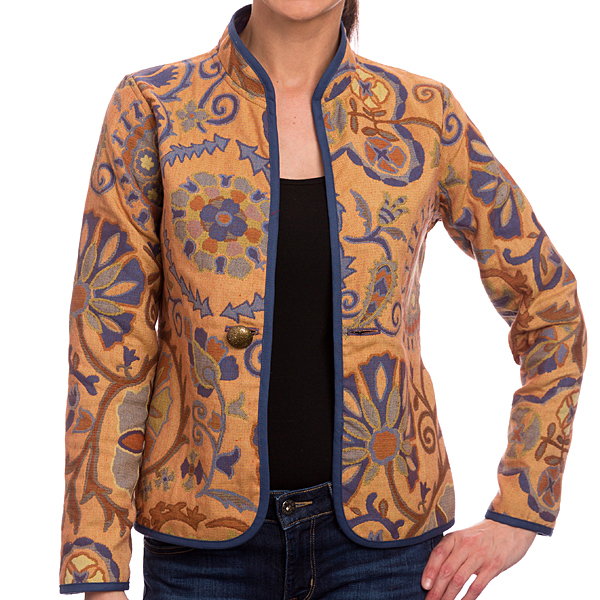 Rich in color and truly reversible, this unique jacket looks great with denim. Travel friendly. Dry clean only. 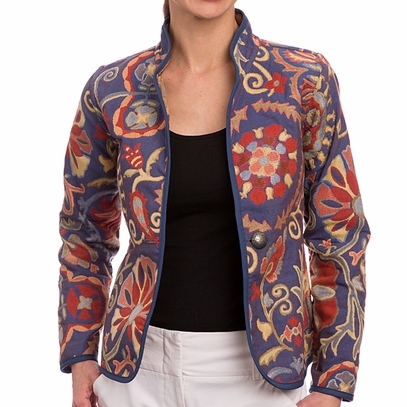 Fabric content is 60% cotton, 25% polyester, 15% rayon. Made in the U.S.A. Please select size XSM, SM, MD, LG, XL.